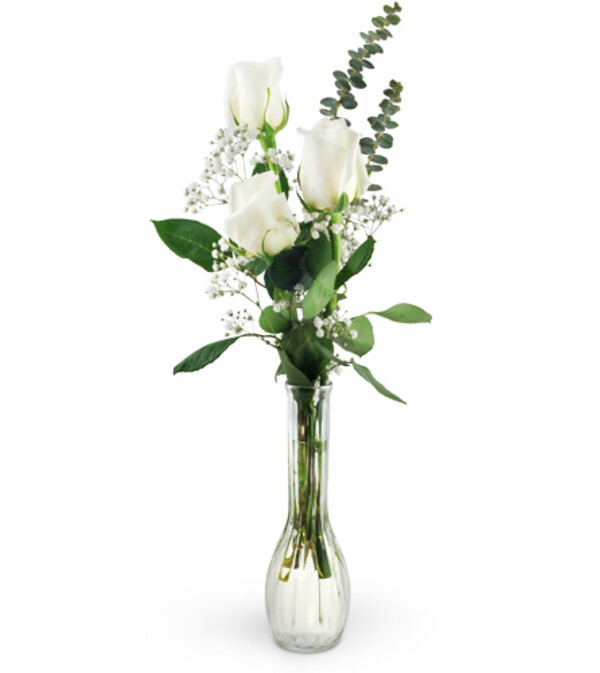 White roses are the embodiment of innocence and purity - send this arrangement along to instantly lighten someone's whole day! Three white roses and delicately and beautifully arranged with eucalyptus, baby's breath, and salal. Arrived when requested. Arrangement was beautiful! 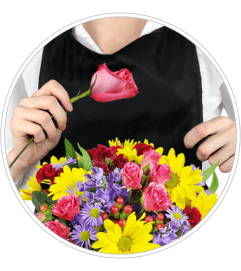 Easy online ordering; delivered on time, beautiful and quality flowers. What more could you ask for? Forest of Flowers is a Lovingly Florist in Stratford. Buying local matters. Discover how Lovingly supports local florists. Copyrighted images herein are used with permission by Forest of Flowers.